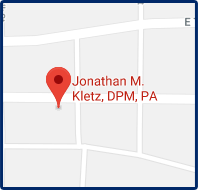 Since 1991, podiatrist Jonathan M. Kletz, DPM of Texas Foot Works has been providing general podiatric care to the cities of Dallas, Athens, and Gun Barrel City, TX. 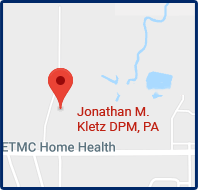 Our practice is dedicated to providing a comfortable environment in which patients can receive comprehensive care of the foot and ankle with the latest technology. Dr. Kletz specializes in neuropathy and offers various treatments for multiple conditions, including homeopathic treatment for inflammation, extracorporeal shockwave therapy (EPAT), Biologics stem cell therapy, platelet-rich plasma (PRP) therapy, and the HyperBlue Laser for treating toenail fungus. We accept Medicare, Medicaid, and most insurance plans. If you have any questions or would like to schedule an appointment, call one of our offices today! 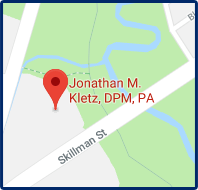 Jonathan Kletz, DPM is a podiatrist who is equipped to handle all your foot and ankle problems.